Captivate your customers with this stunning Anchor Hocking Oneida 73017 Stackables 16 oz. cooler glass! 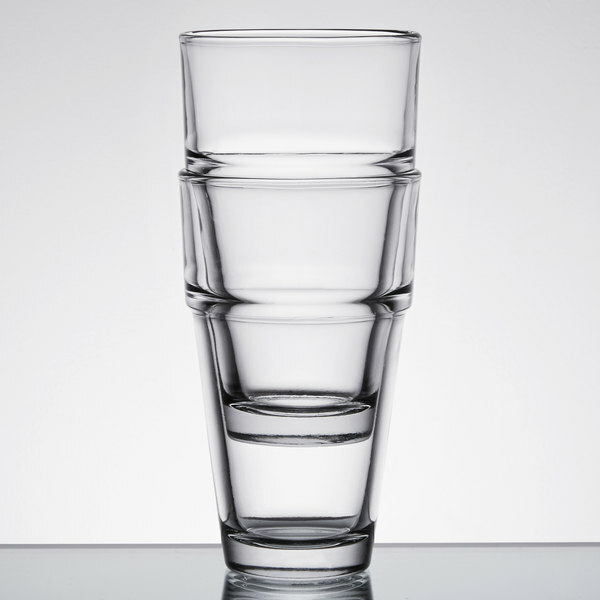 Sturdy and classic in appearance, this glass maintains Anchor Hocking's standards of high-quality products that last. 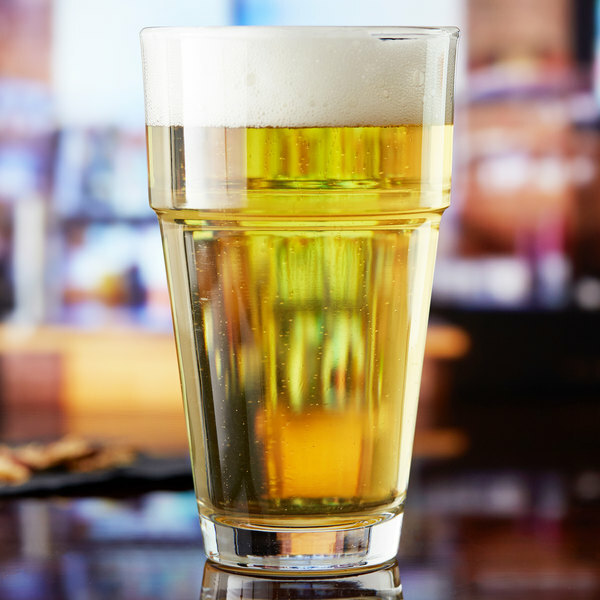 Able to stand up to the toughest restaurant and bar environments, this cooler glass is a must-have addition to any commercial establishment. The roomy 16 oz. capacity is perfect for serving a variety of drinks on your menu. Plus, it is stackable to allow for efficient, space-saving storage behind your bar! 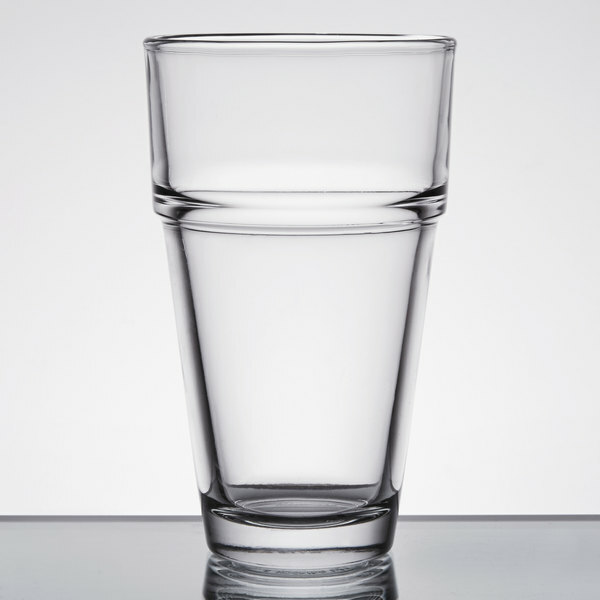 This unique glass is designed with clean, straight lines, and a heavyweight form making it ideal for serving iced tea, freshly-squeezed lemonade, ice water, or even cocktails. 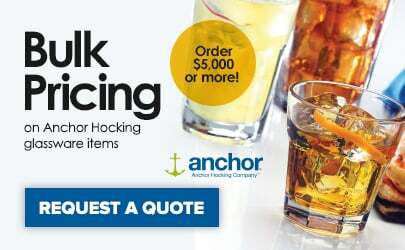 For over 100 years, Anchor Hocking Oneida has been one of the world's leading designers and sellers of glassware, providing a wide selection of durable and elegant products to suit your many needs. For your convenience, this high-quality glass is dishwasher safe to allow for easy cleanup after every use. Featuring unparalleled brilliance and clarity, this glass makes it instantly clear that your customers are receiving the best product and service possible. It also undergoes a rim-tempering process to increase the rim strength, prolonging glass life and reducing replacement costs. Offering the latest in style and function, this Anchor Hocking cooler glass is perfect for creating unforgettable ambiance in any venue. I love these glasses. We use them for water and they are very durable and they stack, which is key. They also look simple and attractive! Perfect glass for water , tea , sodas, etc. Thick , solid glass that stands up to some abuse. We will be ordering more of these because they work for so many different beverages. And the stackable feature makes it easy to carry multiple glasses at a time. We just love these cups. They are heavy duty and look great. After eying them on Webstaurant Store for awhile, I took a trip to LA and ate dinner at a swanky restaurant and these were the cups on the table! Pulled the trigger the next day and couldn't be happier with our purchase. These glasses are great. They are a nice size for general use. They are quite sturdy, and stack nicely and securely. I use these at home, and with 5 rough boys, I can only remember breaking 4 in 2 years. I am ordering more. This is a great all-purpose glass. It's great for water, tea, or lemonade, but it's also a great beer glass. They stack really nicely, so lots of them fit in a small space. Very heavy, sturdy glass.